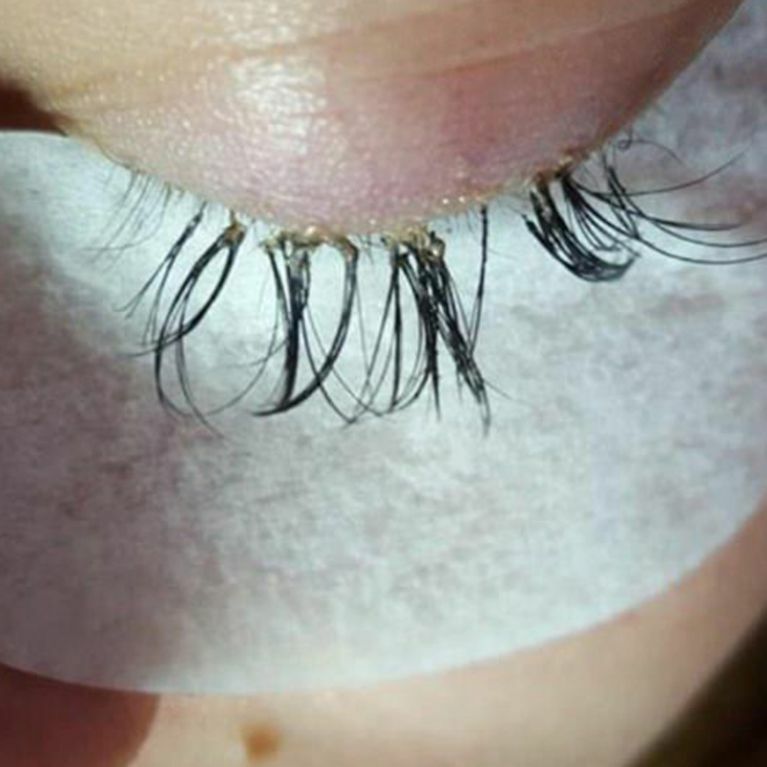 If you're booked in to get eyelash extensions any time soon, you might want to sit this one out. This horror story of one woman's experience - at the hands of an unknown salon in Perth, Australia - is enough to persuade you never to mess with your looks again. One woman's dreams of having luscious, long lashes were shattered when she ended up losing her natural eyelashes and gaining a nasty eye infection instead, after attending an eyelash extension appointment recently. The girl - whose identity remains unknown - and her unfortunate experience should serve as a warning to us all not to artificially tamper with our looks. The horror story was shared by beautician and beauty-salon owner Emma Dhanjal on Facebook, in the hope of encouraging girls to do their research to prevent a similar situation. The girl in question had visited Emma's Emmaculate Beauty salon in Perth, Australia, in the hope the eyelash extension experts there could rectify the disaster. Emma wrote: "PLEASE PLEASE PLEASE do your research. This poor girl has been left with extremely damaged natural lashes," alongside images of the customer's gunk-filled lashes due to an infection picked up at the original salon. She warned the girl that her 'lashes may never be the same again', finishing the post with a word of warning for girls seeking luscious, long lashes. Emma added: "Please do not be scared of having lash extensions applied, if you do your research and go to the right place your lash extensions can be applied for years and years without having a break,” she said.